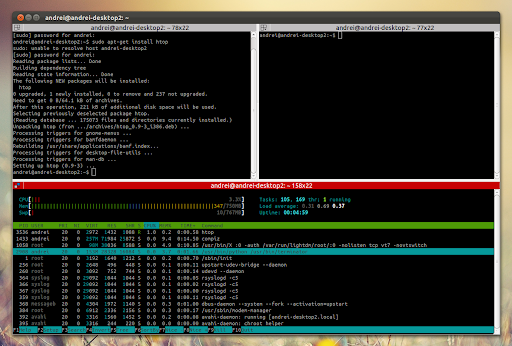 Terminator is a very interesting terminal emulator that lets you use multiple terminals in the same window (split view). It supports notifications (through 'watch for activity' plugin), tabs, can save / restore custom layouts and more. If you're not using Ubuntu, download Terminator via Launchpad.